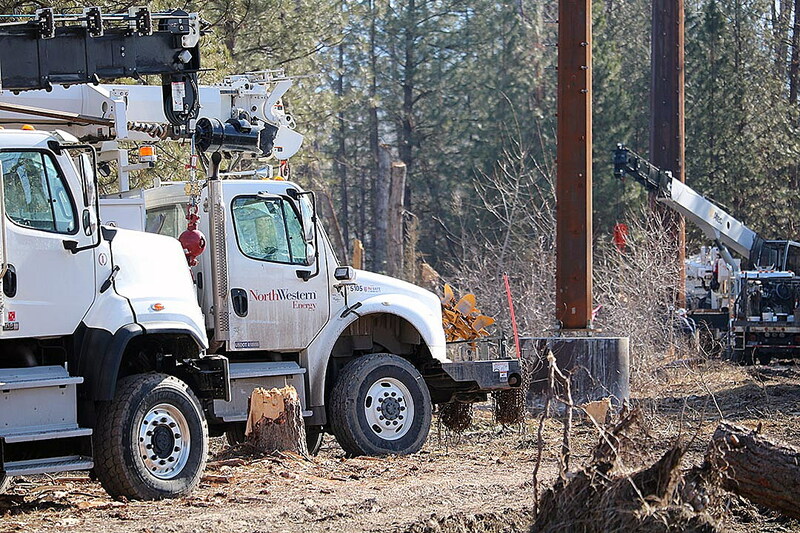 Crews with NorthWestern Energy are racing to beat this year’s high water to replace and reroute a key transmission line felled by last year’s flooding in the Missoula Valley. While the Clark Fork River has retreated from the Tower Street Conservation Area, it’s likely to return this spring, giving power crews a narrow window to complete the first phase of their work. Last may, the Clark Fork River washed over the conservation area and inundated surrounding homes. The river’s scour also toppled key infrastructure supporting a main feeder line, allowing it to drop into the river. That occurred in May, prompting NorthWestern Energy to repair the system once the water retreated. But even then, the utility began looking for a long-term fix to what’s expected to be a reoccurring event under climate change and the ever-advancing spring runoff. Those new structures include six steel towers perched on heavy concrete pads embedded several dozen feet into the ground. The pads themselves will likely stand above the worst possible flooding and hold up as moving water erodes the earth around them. The power line handles 161,000 volts of electricity and feeds a broad area of the Missoula and Bitterroot valleys. 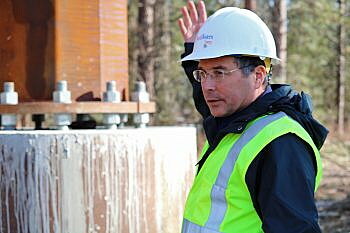 The entire project spans around 2,500 linear feet and crosses the Clark Fork River further east than the old lines. Once the structures are in place and the line is drawn and energized, crews will decommission and remove the old lines and their wooden poles. With heavy equipment moving through the conservation area, the project will also require its share of reclamation. Clawson said the utility is working closely with the city’s Conservation Lands Program on the project and its eventual cleanup. It was last July when Morgan Valliant, the city’s conservation lands manager, noted the reach of the flooding in what’s generally a sandy inland wood. The high water washed away much of the infrastructure in the Tower Street Conservation Area, including trails, signs and fencing. Much of it has since been replaced, though rerouting the transmission lines will bring some changes to the area.